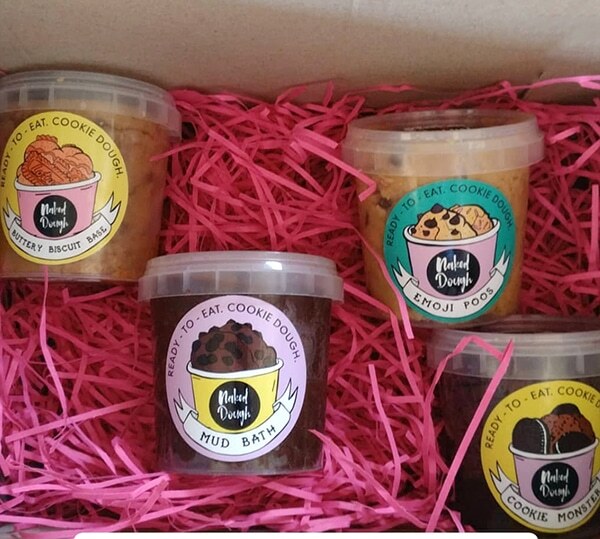 We were sent Emoji Poo (a chocolate chip cookie dough), Buttery Biscuit Base (a Lotus biscuit flavoured dough), Mud Bath (dark chocolate chips and cocoa cookie dough) and Cookie Monster (vegan cookies ‘n cream dough). I loved the Emoji Poo and Mud Bath most, while J loved them all, but especially the Buttery Biscuit Base one!! 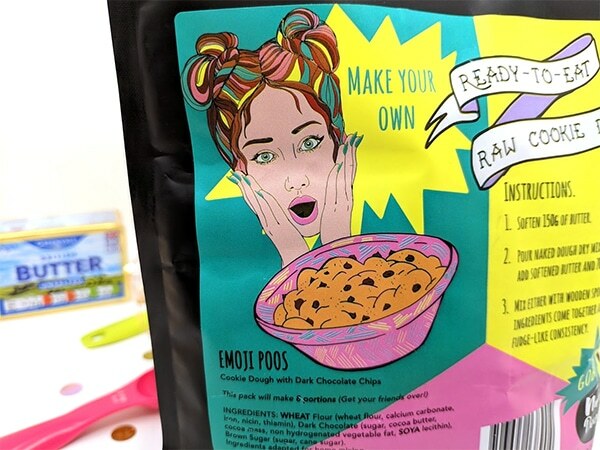 They were also incredibly kind enough to send me over their latest creation; a massive bag of make your own raw cookie dough mix in Emoji Poo flavour (the chocolate chip one if you want to be less disgusting lol). So how do you make your own? Well, it’s super easy to make and, as you don’t have to use any egg, you even don’t have to bake it! 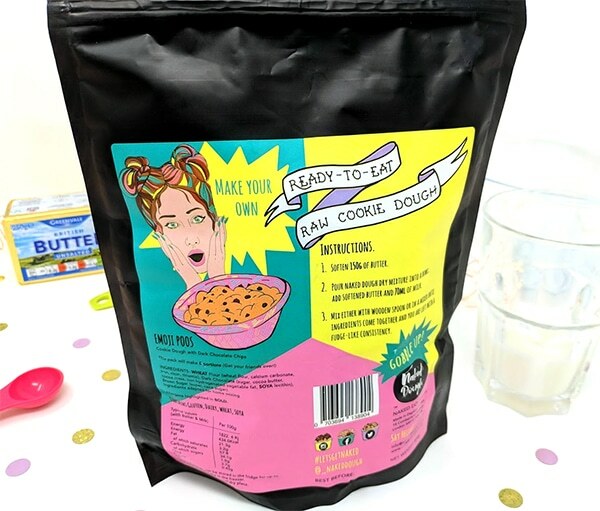 In fact, you only need to provide two ingredients; 150g of softened butter (I used unsalted) and 70ml of milk (I used semi-skimmed) and the packet of cookie dough mix does the rest!! Basically, you put the entire packet of cookie dough mix into a mixing bowl and add in the softened butter on top. I cut my butter into small cubes to make it easier to mix. You then add all the milk. 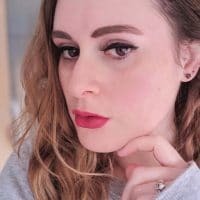 You can either stir the mixture with a wooden spoon until it looks like the consistency of fudge or you can use an electric whisk or mixer (like I did, because I’m very lazy)! That’s literally all there is to it. I love the chocolate chips in the mix, I think it breaks up the soft consistency perfectly. It is a little weird to start with though; if you’ve ever licked the bowl or spoon after creaming sugar and butter together, it’s kind of like that, except it tastes of cookies!! 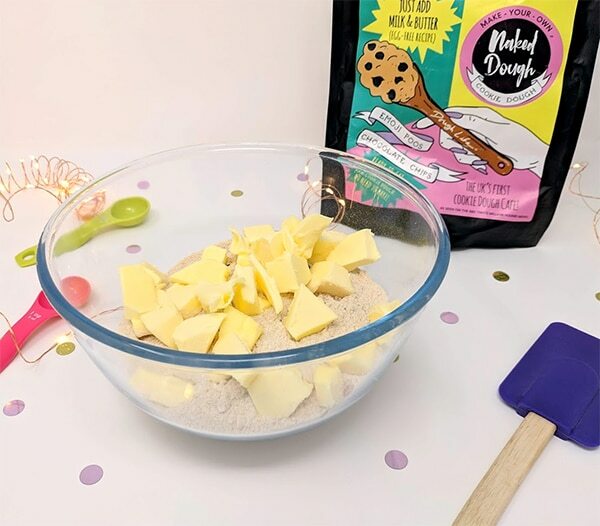 Once you’ve made your mixture, the dough can be kept in the fridge for up to two weeks or put in the freezer in an airtight container for up to 6 months!! 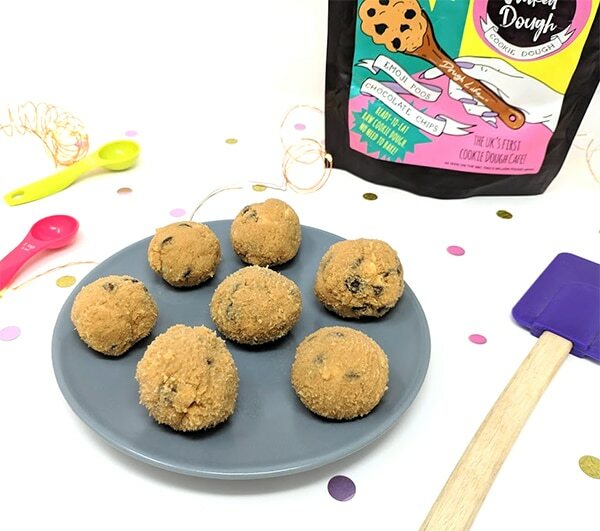 You can also do anything with the dough; you could make it into little balls like I did or you could ice them, put sprinkles on them, add some marshmallows, make them into cookie shapes or have them in an ice cream sundae! The possibilities are endless!! 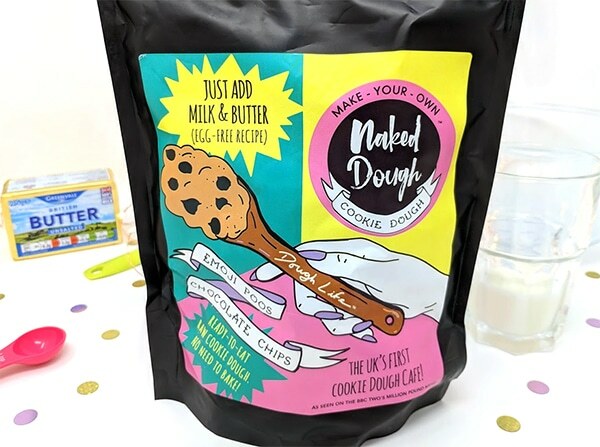 *This product was kindly sent to me but views, butter, milk and a love of cookie dough are my own. 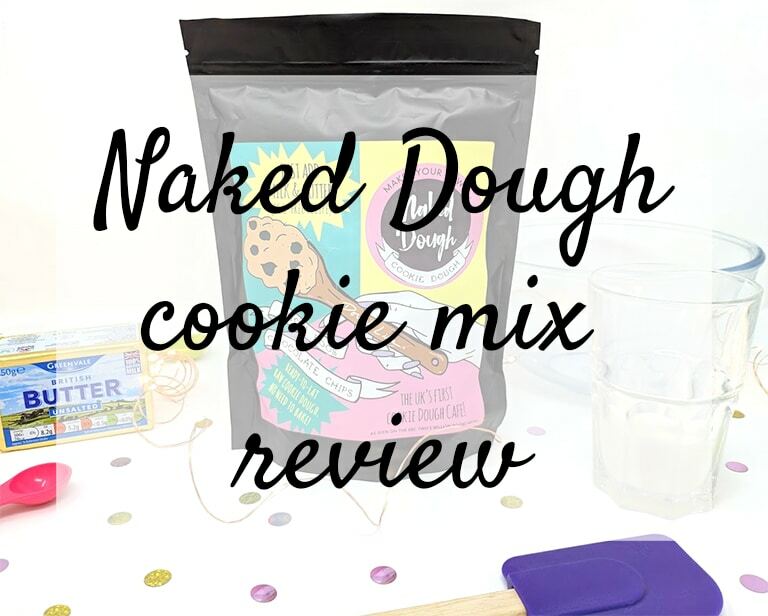 I love Naked Cookie Dough! 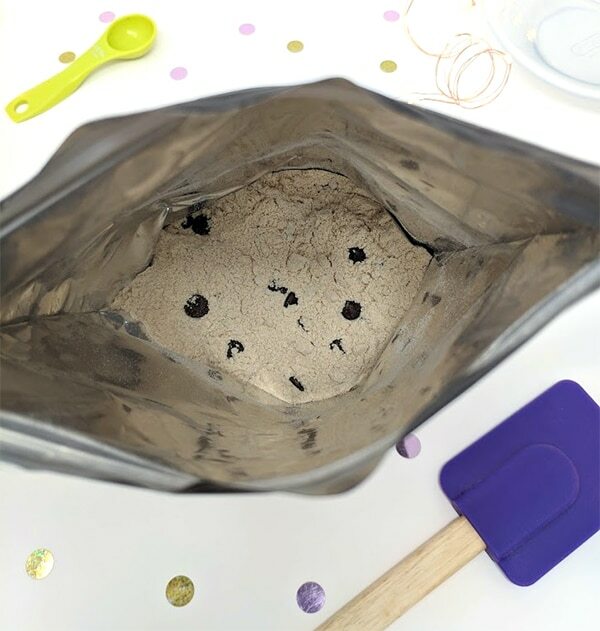 You had me at ‘vegan cookies n’ cream dough! 😍 I find it so difficult to find good sweet treats that don’t have milk in them. These sound delicious and I can’t wait to give them a try.